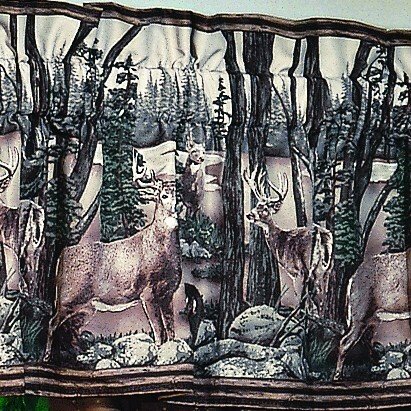 Whitetail Deer are featured in this panoramic scenic border print valance. 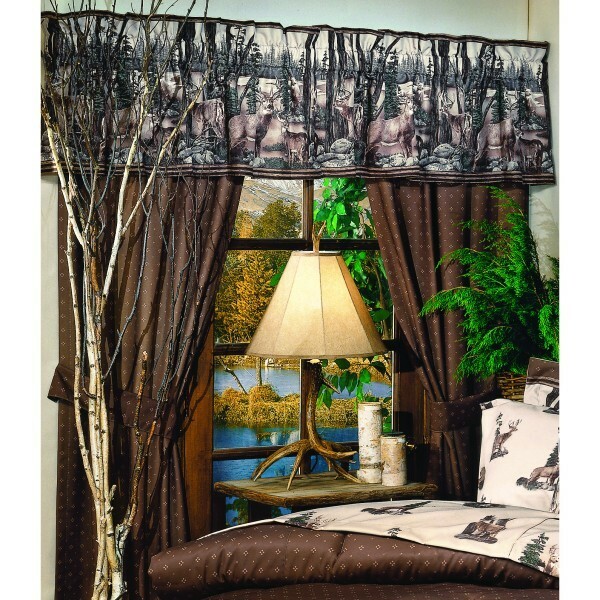 Drapes are all over brown pattern, lined and come with tie backs. 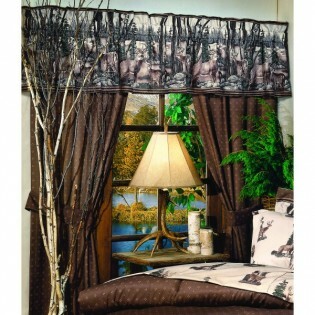 Made of 100% cotton duck, dry cleanable. All are made in the USA.